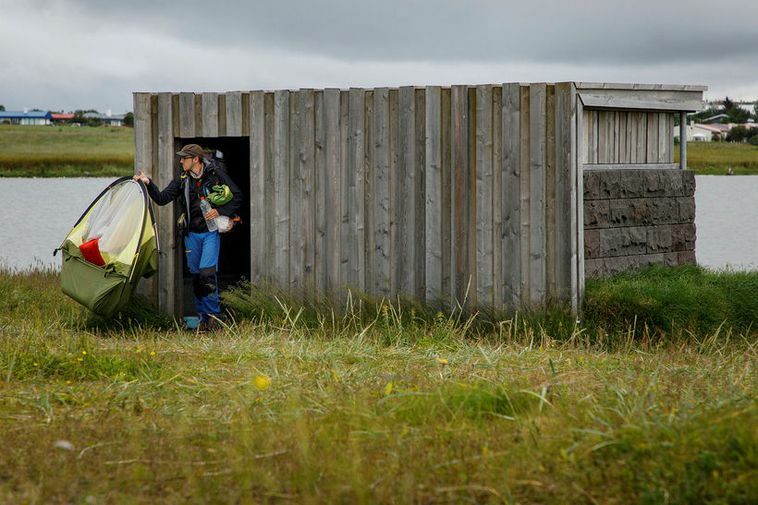 A tourist was yesterday morning told to pack up and leave after having pitched up a tent inside a small house used for birdwatching in Seltjarnarnes, West Reykjavik. "I expect he stayed there at least for a night," says botanical director of Seltjarnarnes, Steinunn Árnadóttir, speaking to today's Morgunblaðið. She adds that she's very disappointed. "The charm of the house is that people can come and watch birds without them being disturbed. It's annoying if we have to close the building at night." The birdwatching house is currently open 24 hours.